Now available in paperback, The Secrets of Wildflowers is destined to be an indispensable book for anyone who loves and admires the natural world. Few things in nature beautify the world more than wildflowers. 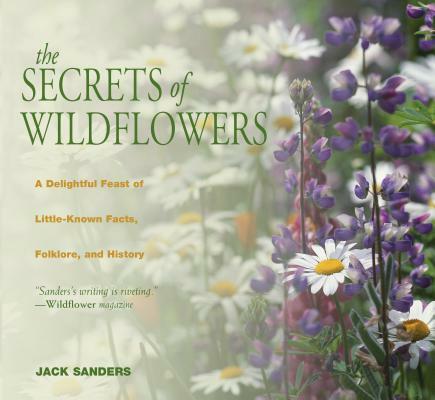 Their countless colors and endless designs are found almost anywhere--from fields to woods, deserts to ponds, and even in junkyards, dumps, and cracks in the pavement.The Secrets of Wildflowers, Jack Sanders's colorful tribute, is bursting with odd facts and wonderful superstitions about some of North America's most beautiful and common plants. Reader's will find natural history, folklore, habitats, horticulture, ingenious uses past and present, origins of names, and even their literary pedigrees. Far richer and eminently more varied than any field guide, The Secrets of Wildflowers contains more than 100 species of North American wildflowers organized by blooming seasons. Wildflowers are not just pretty to look at; they are an essential part of our environment. How they grow and what they do are often overlooked, and how they have been used has largely been forgotten. They feed insects, birds, animals, and even humans. They hold and condition the soil, and they are used in modern medicines and natural remedies and appear throughout history in art and literature. The Secrets of Wildflowers provides detailed information on more than one hundred representative species of North American wildflowers. Jack Sanders is the northeast field editor for Wildflower magazine and has written about wildflowers for The New York Times. He is the editor of The Ridgefield Press.